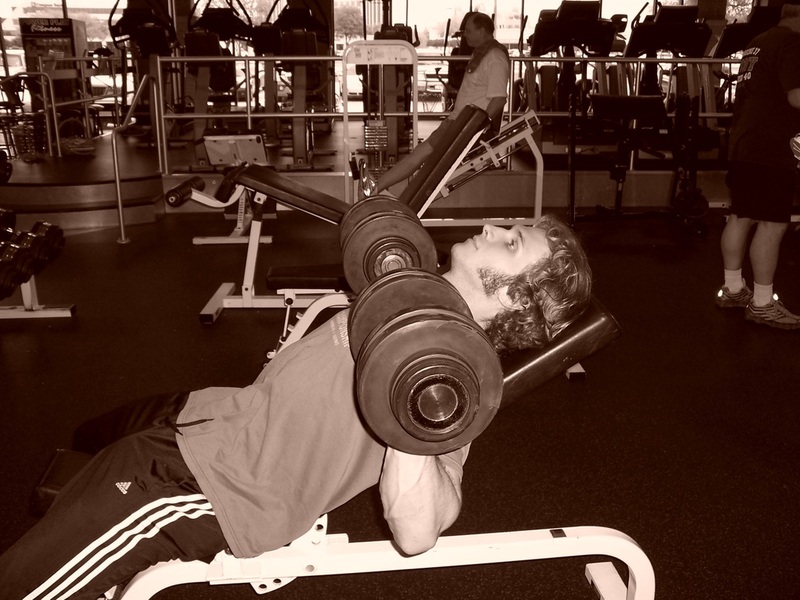 Dallas Personal Trainer - A very common exercise to see being performed in gyms throughout Dallas under the guidance of a personal trainer and without a trainer as well. 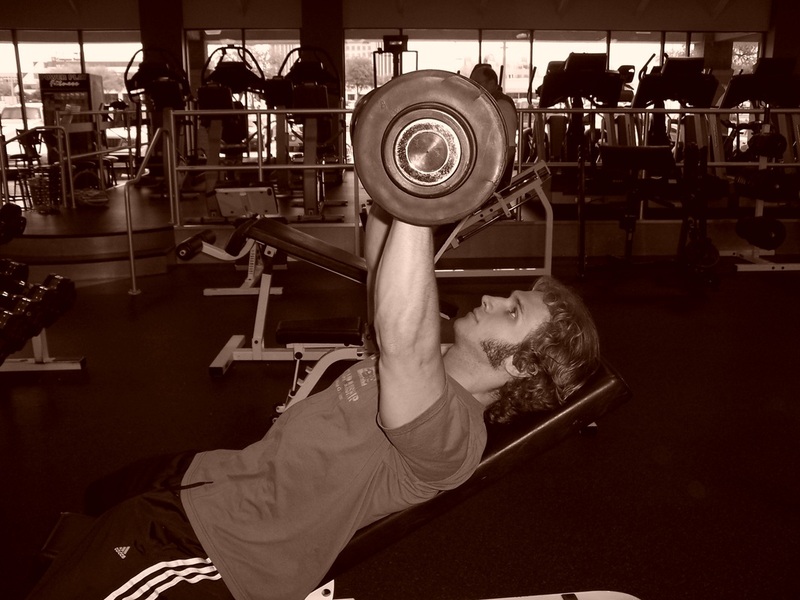 A great upper chest and shoulder exercise that engages all of the stabilizer muscles as well. Set an adjustable bench to a 45-degree incline, grab two dumbbells, and lay back on the bench as you toss the dumbbells up to your armpits. Once you are set with the dumbbells at your armpits, press them straight up over your chest while keeping your lats tight (armpit muscles) and contracting your chest muscles as tightly as possible. Focus on not allowing your shoulders to shrug up or move forward at all during the exercise. Allow your chest muscles to get a slight stretch (with the muscles still flexed) at the bottom and a very tight contraction at the top.